OK lets come right out with it. The original “Garmin” action camera mounting system on the VIRB was so similar to the GoPro system, that accessories could be used interchangeably, with a little wiggling. 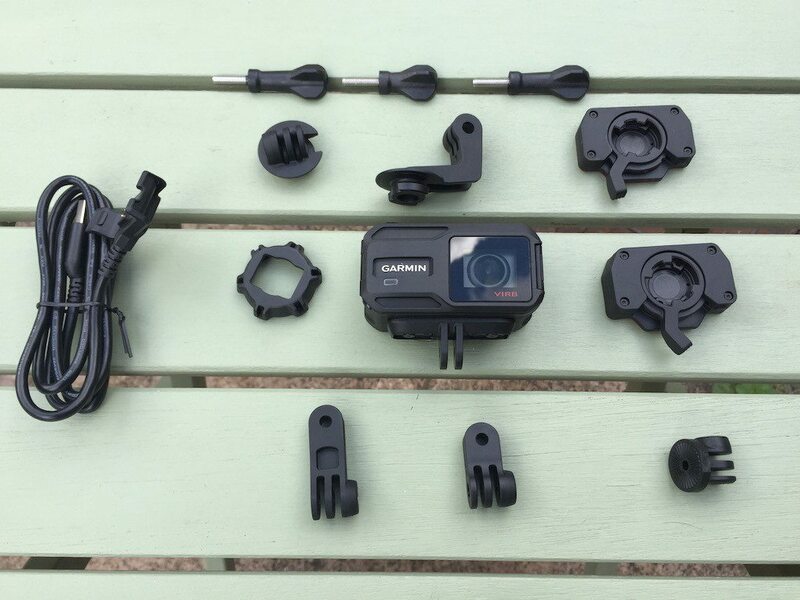 This time Garmin have done the decent thing, and actually licensed the GoPro mount system, giving access to a myriad of accessories. 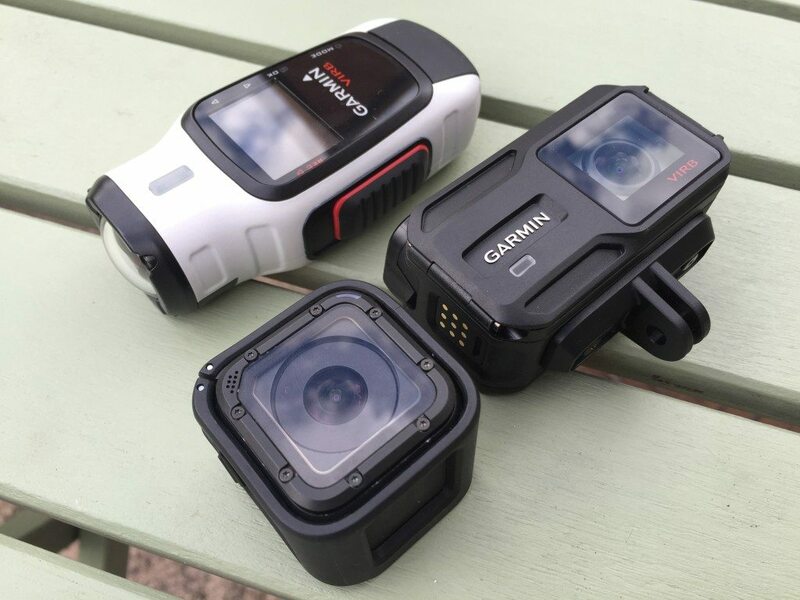 Looking at the design of the new VIRB, having gone from a rubberised torpedo, to a black plastic box, it looks like Garmin are still trying to channel their inner GoPro. From an aesthetics this is a shame. From an aerodynamics stand point, its equally a shame. 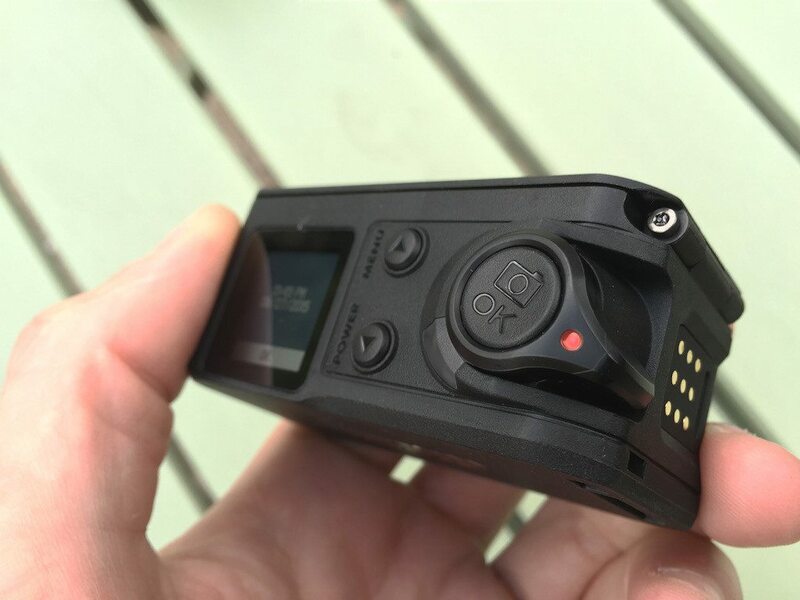 The original VIRB looked different, sat very well in the hand, and fitted well on the bike – it addressed my biggest issue with GoPro’s range of cameras, that their aerodynamic profile is just slightly worst than that of a brick!! The new XE now sits straight on to the wind when using the bike. Honestly, its not really going to impact your race/ride, but its not one for the aesthetics is it? But whilst the camera has changed in shape, Garmin have tried to reduce to frontal area by reducing the size of the camera. 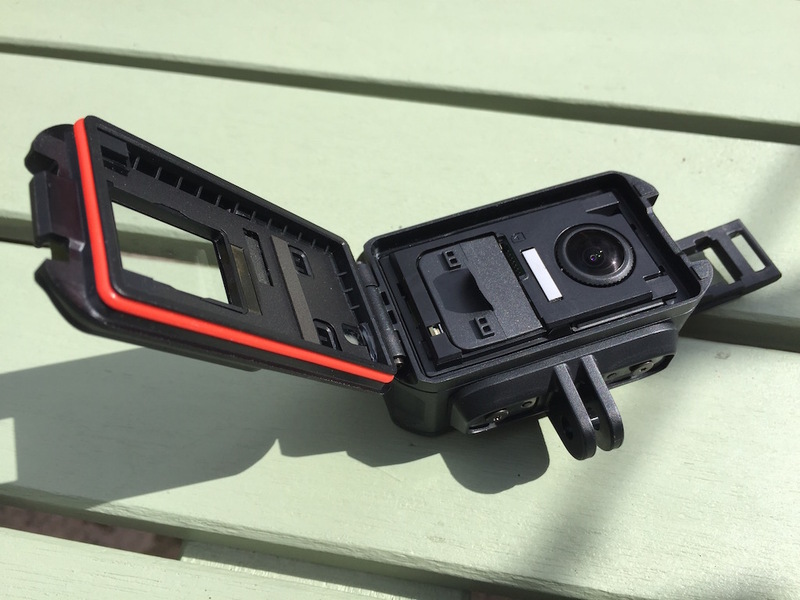 This is doubly surprising when you find out that the new Garmin VIRB EX is waterproofed down to 50m right out of the box, no case required – and I thought GoPro did well on 10m for the Sessions! Before we go any further, lets just unpack that statement “no case required”. The original VIRB had a VERY chunky dive housing that let it go down to 30m. Important as it was only able to go down to 1m without it, and due to the curved front glass, then subsequently wasn’t able to focus underwater, so had to go back in the dive case. 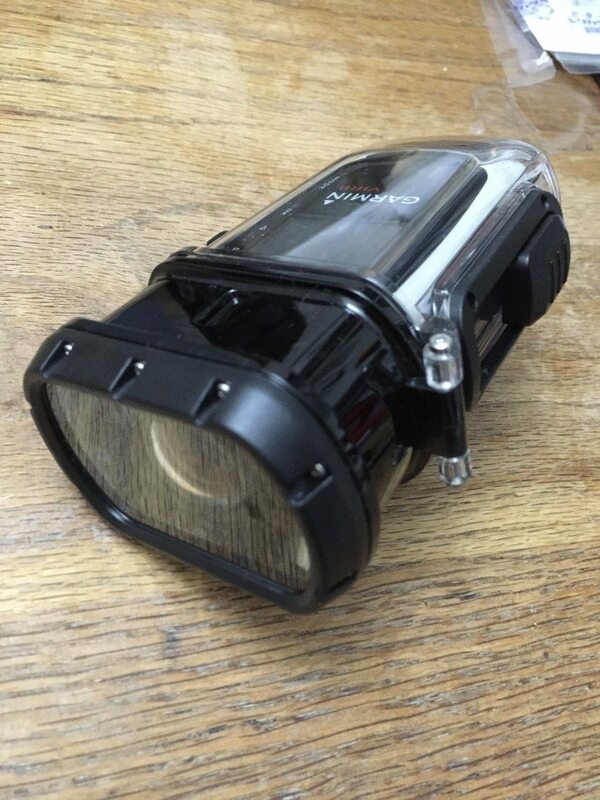 Now however, the new VIRB XE doesn’t have a case, AND can go to 50m depth! Waterproof enclosure…but not a case! Well it doesn’t have a removable case. What I mean here is, the VIRB XE has no ports. Even the charging area is now a sealed, flat plate, rather than a dodgy USB port (The single worst thing about the original VIRB). 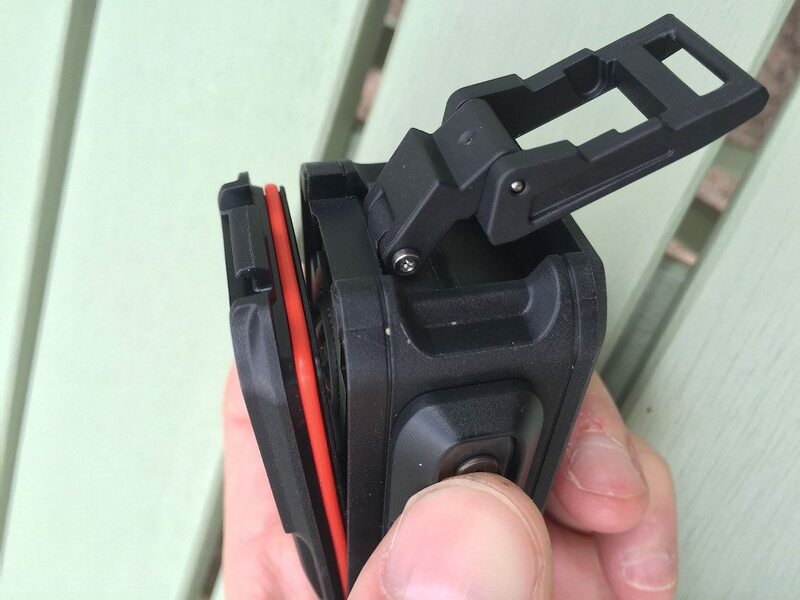 To swap the battery, insert the SD card, anything like that, you have to open a heavy duty latch, which then opens up the front of the unit, revealing the camera underneath…making it seem like its in a case, but at the same time not. As that camera unit is not removable from inside. Its certainly an interesting way of shrinking a device, and waterproofing it. 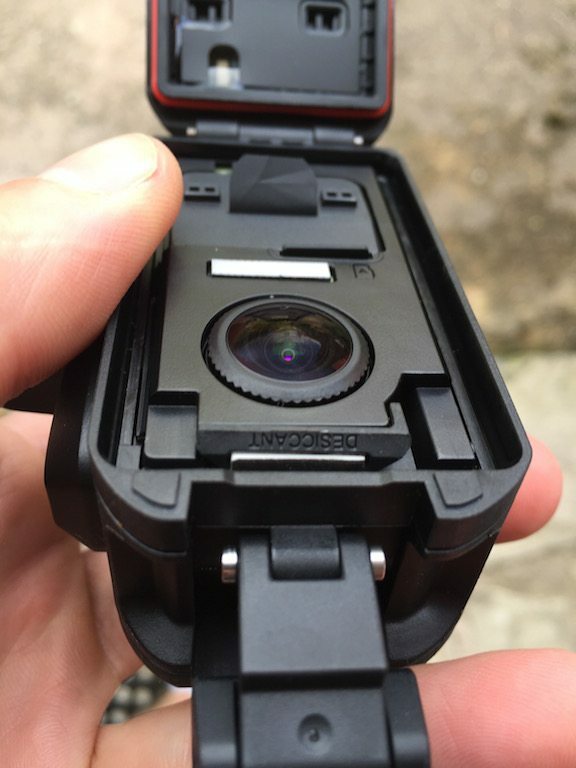 In addition to the lack of case per say, Garmin have now built the mount straight into the camera. Which increases security, but reduces accessibility. The original Garmin VIRB mount was over complicated, blocked the microphones and rather annoying. 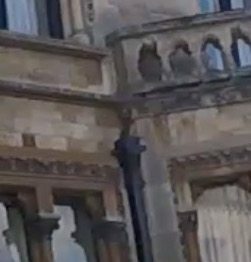 BUT it allowed for exceptionally quick removal of the camera from the bike – useful for example if locking up the bike in town. I would say that I want my cake and to eat if, if it were not for the fact that the GoPro Sessions pops out of its case, similarly quickly, whereas with the Garmin XE you need to completely unscrew the camera. Again this probably points to Garmin broadening the market for this camera, as it makes the camera much more secure in terms of the mounting, than either the Sessions, or the original VIRB, so is probably a reasonable trade off, but a trade off it is. Wouldn’t be a gadget without specs! Actually thats a stupid statement, even a block of wood has specs….anyway! Full ANT+ sensor capabilities, GPS, WiFI (802.11 b,g,n) and an accelerometer, are all still present in terms of connectivity, with sensor sampling rate now increased…because you need to know the exact wattage your are pedalling when shooting round that corner! But seriously, the ANT+ connectivity is in my eyes a MAJOR selling feature for the Garmin VIRB’s, something GoPro currently can’t compete with. A gyroscope has now been added to the unit, which is likely to have more focus for action camera activities outside of cycling. However in the XE it is also used to aid the image stabilisation. Note this ISNT for Bluetooth smart sensors. Garmin owns the ANT+ protocol and has no interest in helping other companies eat its lunch! However to compensate the camera can now display Garmin Running and Cycling dynamic data, as discussed in the Garmin 920XT and Garmin Vector 2 reviews. This inclusion may finally give the Garmin Dynamics metrics the big break they need, allowing for post event analysis where data can be directly compared to video footage. It should be noted that there is now no preview screen. Not a great loss in my opinion as I mainly used it to ensure the camera was level. The VIRB XE uses Live Preview from the companion app instead, which is really simple. The barometric altimeter has also been removed, along with the HDMI port. No loss in my experience, as I dont think I’ve ever used one on a camera. Some people will mourn the loss of the preview screen. I dont think its a major loss, and the much lower power 1 inch information screen will do most of the real world functions, apart from the preview, of the original VIRBs screen. 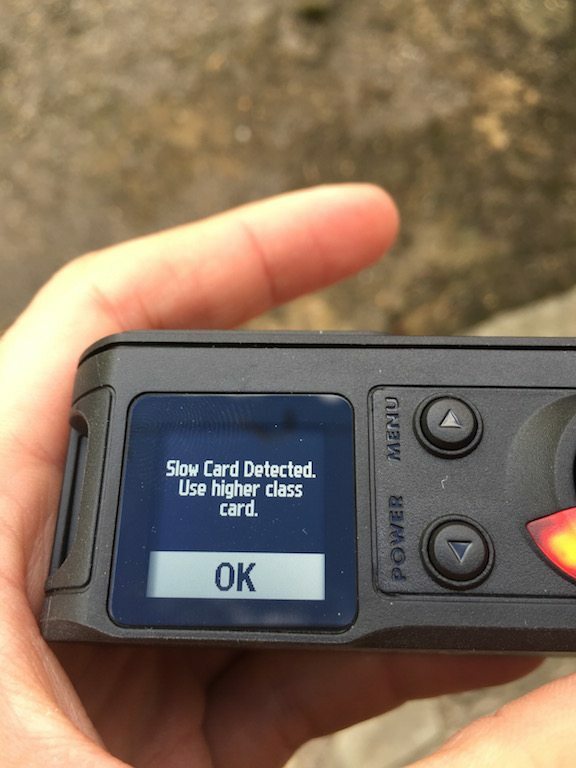 Instead of the previous screen, the XE has a simple LCD status scree. It is very nice to have such a screen on the device, as it improves user control, and means you dont have to have your phone around to change one of the deeper settings, as is needed for the GoPro Session. The original VIRB’s best feature was its large “Action!” slider on its side. No matter what was going on with camera, even in the off mode, slide it forwards, and it begins to film. The XE keeps the same system, but shrinks the switch to a (still chunky) toggle around a shutter button, making the device look much more like a regular camera. The central button in this set up also doubles as the “Ok” button for the device, and also as a dedicated photo button when the unit is filming. The VIRB XE includes a new auto rotate function, which will allow the camera to determine which side is up, as seen in many of the current action cameras on the market, and a useful upgrade from the original VIRB. 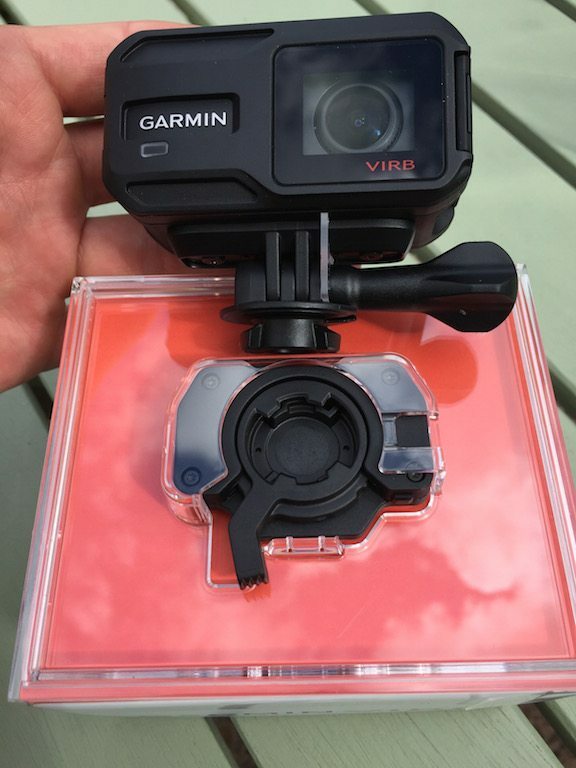 Although the VIRB XE uses the GoPro mounting system, included in the box is an adapter to allow mounting the Garmin designed surface mounts. The standard GoPro surface mount is effective, but can require a little bit of force to get the unit free. With the Garmin designed system, you release a latch to take the camera off. This increases usability, but does result in a slightly higher surface mount being left behind. 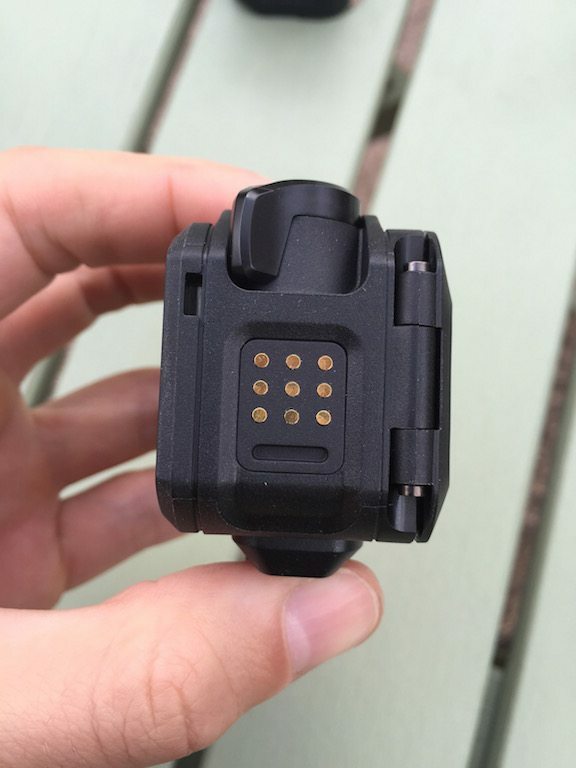 For something like a helmet mount, I actually think its a good idea, as you are going to want to be removing the camera regularly from the mount, and this system, would greatly ease this activity, a little like the original Garmin VIRB mount, but more secure. 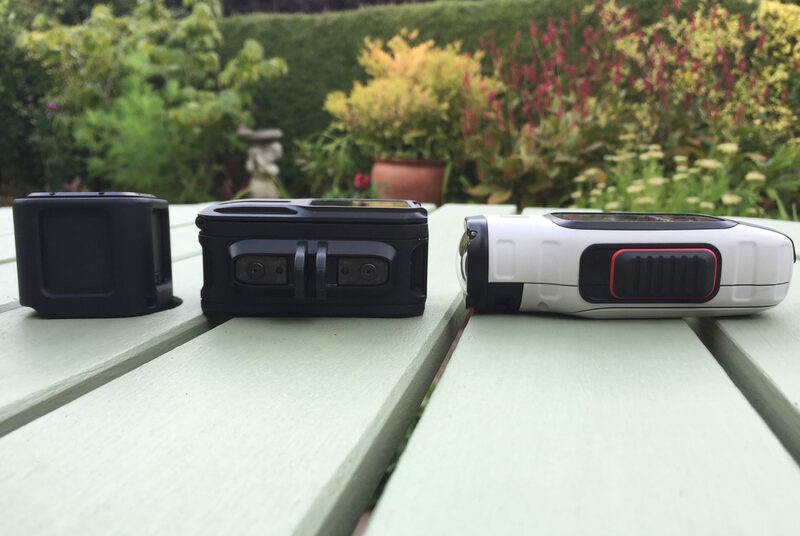 Garmin still offer a range of additional accessories through their own retailers – crucially one of those accessories, is a front camera face, so if you scratch things up, you device isn’t completely shot! I HATED the original Garmin VIRB when it came to charging. It was the worst, and most major flaw in the device. I even had to return one unit, and found the replacement not much better! Garmin has done away with the USB port, opting for a flush face charge plate, as is seen on many activity watches. Again with the original VIRB charing was always a push-me/pull-you affair, as the unit would switch on frequently, when you wanted it to charge, leaving you not quite sure what was going on. Now when you are not using the camera, and charging it, a “Going into charging mode” dialogue appears before the camera shuts off. The outer LEDs then continue to flash whilst charging, before turning solid when charged. WHY WAS THIS SO DIFFICULT WITH THE ORIGINAL VIRB GARMIN! WHY!? Ok, I DIDNT like the GoPro Sessions WiFi network, and I truly hated it on the Shimano CM1000, so I didnt really hold out much hope for the Garmin VIRB XE’s system. Well serves me right – it worked! I think the biggest bug bear for me on the other systems, is the time they take to setup. You switch them on, and nothing really happens. Did it work? Is it broken? Is it still booting? The VIRB XE WiFi network was working almost straight away, and no faffing was needed with the app. The app allows you do frame your shots, if needed and use the app as a live view screen. What it now does, which wasn’t possible on the original VIRB is to allow you to download your video and photos straight to the mobile – you know, so you can bore people straight away! But in all seriousness, this is great for being on holiday, or when you have limited access to be able to backup/clear the SD card, as it allows you to keep using the camera, and download you images to another device, freeing up the card again. It terms freeing up the camera, the app is also useful if your camera has gone off roaming free – the app has the ability to record the GPS location of the camera, so if it should get knocked off somewhere, you’ve an increased chance of being able to find it again! You are also able to add device gauges to video directly from the app on the fly, which can be really useful for quickly putting together the video on your phone to prove how insane your mountain bike jump really was! Not that I mountain bike, I’d break something else!!! But you get the point! The film from any action camera is the real reason for the device review, and here are my videos. 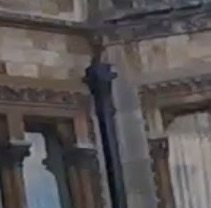 As with the GoPro Sessions review, the videos are of a spin around Walton Hall. I choose this route for videos as I like it, has varied lighting elements to test exposures, and several areas of detail, such as around the Hall its self. Here I’ve mounted three cameras to my handlebars…but ran out of mounts, so had to directly lash the GoPro Sessions to the bar – I did say that the small size of the unit is going to allow people to do extra things with the camera! I dont think I would have liked to have done the lashing with either of the other cameras due to their slightly greater weight. 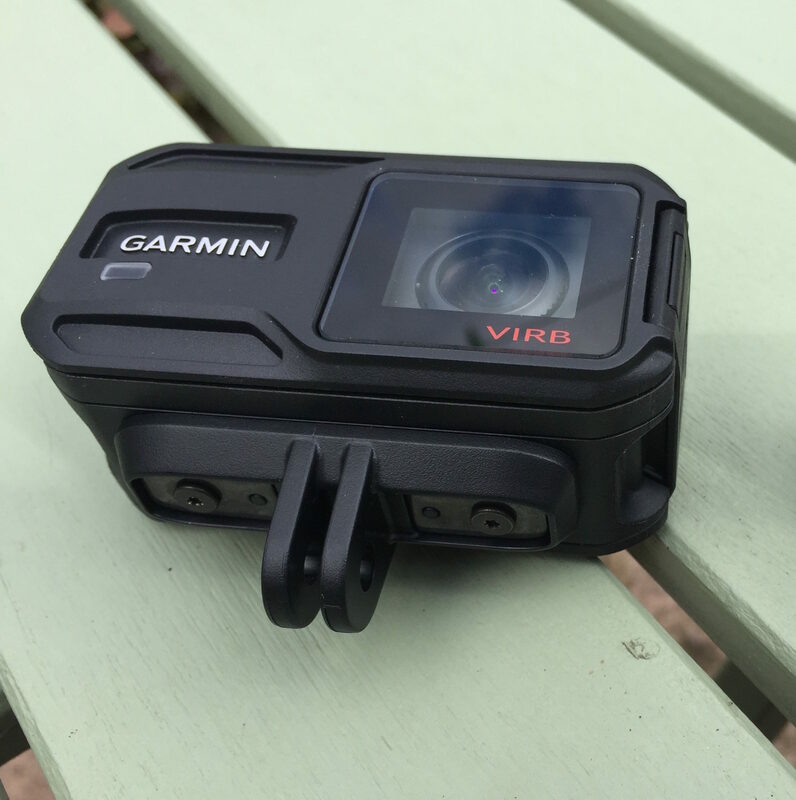 It certainly sounds a little windy with the Garmin VIRB XE when you pass over about 30kmph, but if you compare it with to the original Garmin VIRB its nearly silent! Genuinely I was surprised, in spite of having the oldest sensor of the three, the original Garmin VIRB elite seems to adapt to the exposure the best! So continuing along the spin to Walton Hall, I decided to cycle up to the hall itself. The thinking being that the actual brick work of the hall would provide an interesting subject in order to review the ability of each sensor to handle detail. 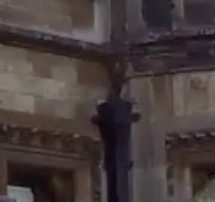 Looking at the three pictures, it does appear that the GoPro has a better handle on the detail although from the videos, it does look as thought the Garmin VIRB XE, just has the edge, with the original VIRB looking over saturated and a little darker on all images. The change of design is a shame, but the shrinkage of the camera makes it still an acceptable biking camera, but I’m not going to include it on my helmet! The quality of the sound is vastly improved, and in my opinion on par with that of the GoPro Session, which has been the best camera microphone pair I’ve come across so far. The charging is vastly improved compared to the original VIRB. The biggest challenger is the GoPro Sessions. Its just a better sensor – BUT – and this is the biggest BUT – the Garmin VIRB XE just works. If you set up the WiFi network, its connected straight away. Want to take a photo mid activity, press the button. Want to check a setting, glance at the screen. Want to start videoing? Throw the great big toggle switch. Want to change a setting and not get your phone out, easy. The GoPro Sessions may have the better sensor, but I HATED using it. It was just annoying. The Garmin XE works. They have ironed out the kinks from the original version, made the whole thing waterproof to 50m, oh and because it is ANT+ compatible, I get lots of sensor information. As a cycling camera, I’d put the XE as 7/10, only as the inability to easily remove it from the bike is an annoyance if I park my bike somewhere. As a general action cam, its a solid 8/10. 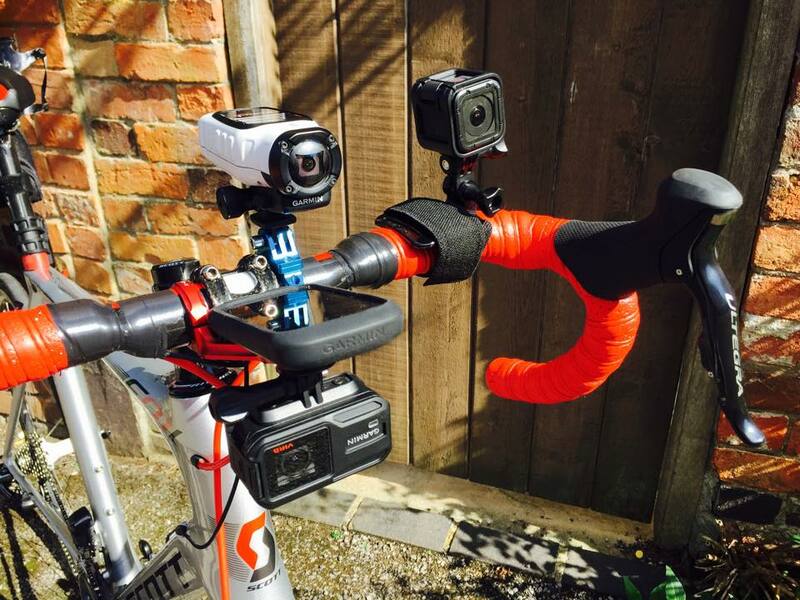 In summation – I’ve basically found my new bike camera – which says it all really!